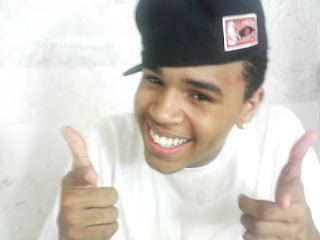 From the teenybopper department... Chris Brown @ Frank Erwin Center on July 2nd. Get your tickets early, on June 4th @ 10am - June 6th @ 10pm, here with the code EXCLUSIVE. So at lunch today, the sweet, but stinky girl at work said she did not want to eat the kimchi because it would make her breath stinky. Another coworker said, "And that's different how?" Christopher Maurice Brown (born May 5, 1989) is an American R&B singer-songwriter, dancer, music video director and actor. In late 2005, he released his first studio album, Chris Brown, which spawned the Billboard Hot 100 number-one debut single, "Run It!" which was produced by Scott Storch and featured Juelz Santana. The album also produced two other top ten singles: "Yo (Excuse Me Miss)" and "Say, Goodbye." Brown's second studio album, Exclusive was released worldwide in November 2007. It has spawned his second US number one hit, "Kiss Kiss" which was produced by T-Pain, who was also featured in the song . The third single, "With You", has reached number 2 on the Billboard Hot 100, and has entered into the top ten in several countries across the world, becoming one of his most successful worldwide releases to date. The second single, "Kiss Kiss", was nominated for the 50th Annual Grammy Awards in the category for Best Rap/Sung Collaboration. Brown, one of two children, was born and raised in the small town of Tappahannock, Virginia, the son of Joyce Hawkins and Clinton Brown. Brown was influenced by the artists his parents played on the home radio, such as Michael Jackson and Sam Cooke. A dancer since the age of two, Brown was not aware of his vocal talents until the age of eleven. Before becoming a vocalist, he was interested in becoming a rapper. At thirteen, Brown was discovered by a local production team who visited his father's gas station searching for new talent. Since then, he began his recording career and moved to New York, staying there for two years. Brown's local production team organized an audition before Def Jam Vice President Tina Davis, who currently works as his manager. At the age of 15, Brown was then sent to perform for L.A. Reid and was subsequently signed in 2004 to Jive Records. By early 2005, Brown began work for his debut album, working with the likes of Scott Storch, The Underdogs, Dre, Vidal, Bryan Michael Cox, Bow Wow, and Jermaine Dupri.